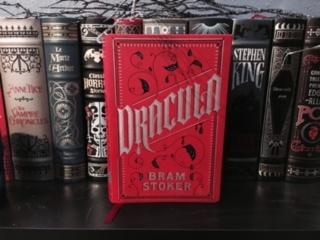 You would think tackling a classic like Dracula would be a difficult job, and it's true that it's taken me a while to get to a place where I could decide what I wanted to say about it. I mean this is a worldwide, beloved classic of gothic fiction; the parental story that has birthed an unfathomable amount of other books, films, art in its many forms, and the list goes on....Then why am I so disenchanted with it? Why have two solid, serious attempts to read and absorb this most famous of stories, both lead to only getting 2/3 the way through the book? I simply cannot bring myself to finish it. Am I missing the most crucial parts? Perhaps, but I don't think so. At least if any of the films are any indication. I know that literature of the period in which Dracula was written are notoriously slow-burns. In other words they take a long time to get to the good stuff, or the really scary stuff, or the big payoff at the end. In fact I read a lot of Edwardian/Victorian gothic fiction, so I'm well used to the language and styles of writing in those periods. Well, I gotta say, after seeing the many film versions of Dracula, I know how it ends well enough to get the gist. Am I jaded by my love of the films of Dracula? Most notably Francis Ford Coppola's 1992 effort which is labeled as Bram Stoker's version, and happens to be my favorite? Maybe so. But where is this great love story between Dracula and Mina in the book? Each diary entry (for the most part) is so long and laden with overly descriptive passages that my mind constantly wanders, or I start skipping through the blah-blah-blah parts. With all of that being said, it did start off well, and I was really enjoying it up to about the halfway mark. I love the language of the 18th & 19th Centuries, with their flowery descriptions and proper dialogue. Easily painting pictures in the mind of that most intriguing time in history. So WTF? Why can't I bring myself to finish it? Maybe I'll revisit it someday, and the third attempt will be the one that takes, but until then, I guess it just looks pretty good on my shelf. So I guess you could say I'm cheating this week with my Friday Night Videos, as I have not made this list, but it is SO GOOD I just had to blog about it. It would have taken me months to compile a list as extensive and diverse (within the darkwave etc. genres) as this. So have a look at Old School Legacy: Gothik New Wave Post-Punk on Facebook, you'll be sooo glad you did. 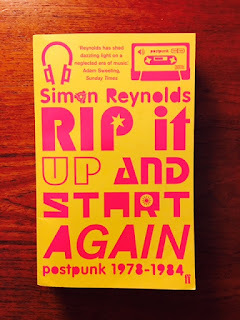 Here's another book review for you,.. Rip It Up And Start Again: Post-Punk 1978-1984 by Simon Reynolds is the latest text I'm devouring, and so far, so good. I like that the chapters are segmented into groups of bands, sometimes by year, and sometimes location. Simon has definitely done his homework, but it helps to have been there, in the UK. where most of the Post-Punk scene developed. It also helps to be old enough to understand the movement, yet young enough to dig it. This particular edition came from the UK, because a little research birdie told me that the US version is missing over 200 pages of info. I'll never understand why publishers do this, but whatever. I ordered my copy from Amazon UK, and it was really reasonable. There is a companion book to this called Totally Wired: Postpunk Interviews and Overviews which I will no doubt invest in soon. If you're a Post-Punk junkie like me, you'll love the in-depth info Simon provides on the actual bands themselves, and the records they put out in the day. 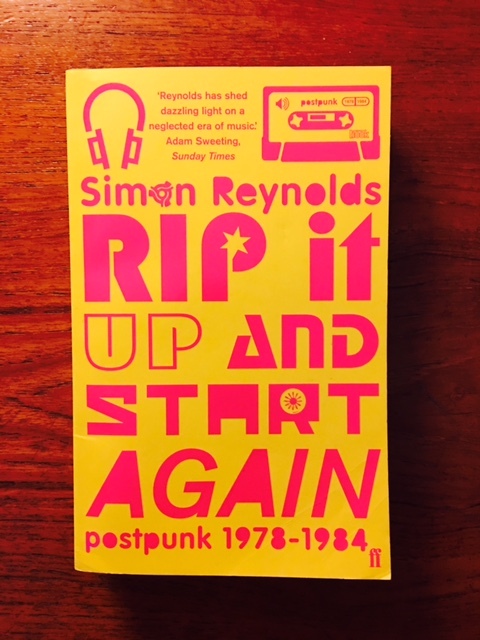 There's a great index in the back, as well as a thorough timeline on the Post-Punk history, for quickie reference. Pick this up and play some records.